Metro Mentions is a feature on The Source where we highlight advertisements we’ve stumbled upon that include Metro access information. Why? In this car-culture town, when local businesses and community organizations voluntarily go out of their way to include transit information in their ads, it raises awareness and informs people of transportation alternatives. Besides, transit info is something commonly seen in ads in other regions. 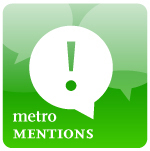 Have you spotted a Metro Mention? Let us know at thesource@metro.net. Redfin listing for a 4-bedroom Victorian home in Boyle Heights, adjacent to the Soto Station. 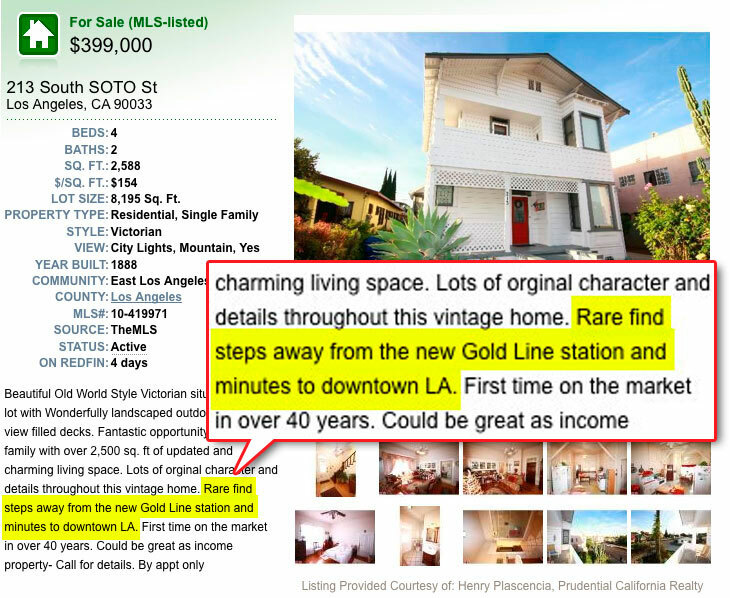 Curbed LA spotted this listing for a four-bedroom Victorian style house in Boyle Heights that goes out if its way to mention the home’s proximity to the new Soto Station along the Gold Line Eastside Extension. The home at 213 S. Soto St. is situated one block from the station, and an 11 minute ride to Downtown’s Union Station and the plethora of transit connections there – continue on the Gold Line to Pasadena, take the Red Line to Hollywood, hop on the Purple Line to Koreatown, the FlyAway to LAX, or heck, take the Amtrak Southwest Chief to Arizona. It’s nice to see that L.A. realtors are aware of Metro Rail and are actively marketing it as an amenity to their properties.